My very good friend Francesca Balzan, recently had her dream come true with the publication of a very important book on jewellery. 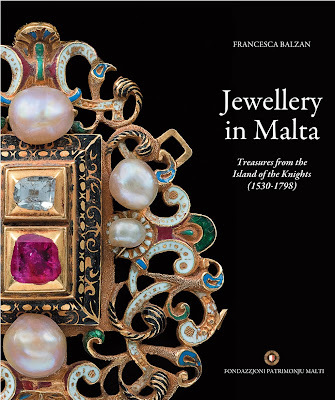 'Jewellery in Malta Treasures from the Island of the Knights (1530-1798)' (Fondazzjoni Patrimonju Malti, Malta 2009), totally researched and written by Francesca, is a study that has made extensive use of primary sources to build up a history of jewellery in Malta, which focuses on the art of jewellery, its social histroy and trade practices, and is the first study of its kind to be published in Malta. 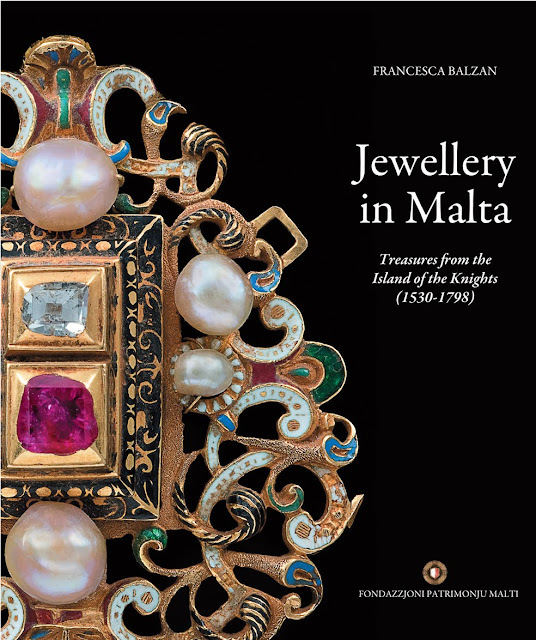 The book is in two parts, the first of which contains essays on historical aspects of jewellery in Malta while the second part is devoted to analytical case studies of a number of jewellery items. The book chooses not to focus on Maltese production solely but on what was present in Malta at the time (1530-1798), thereby including some particularly beautiful examples of jewellery which derived from Sicilian, Italian and Spanish sources. A must-have for those of you who are into jewellery.... & the images are simply stunning too. What has happened to the design of your blog? Everything is huge! When I set my browser to 70% it looks normal. Just wanted to let you know in case it looks normal at your end. Have a lovely day. It's always a treat to get here and learn something new! The book looks like an awesome read.